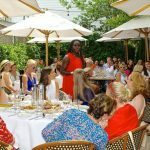 Women’s philanthropy and how it can further art as a means of social justice was the topic of conversation at The New York Women’s Foundation Luncheon hosted by author and philanthropist Jean Shafiroff at Le Cirque in New York City on September 8th. Thelma Golden, mover and shaker of the art world and Director and Chief Curator at the Studio Museum in Harlem moderated a panel discussion between prominent female philanthropists Laurie M. Tisch of the Laurie M. Tisch Illumination Fund and Anne E. Delaney, founder of the Starry Night Fund and the Lambent Foundation. The panelists were invited by Ms. Shafiroff to explore the ways that women, through philanthropy, can advance causes and affect change. 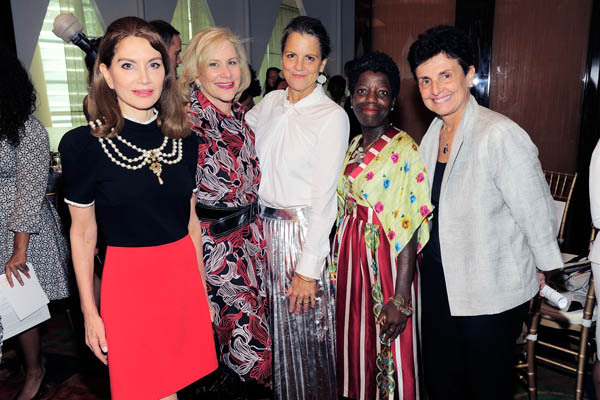 Jean Shafiroff, Laurie Tisch, Anne Delaney, Thelma Golden, Ana Oliveira. ©Patrick McMullan. Photo – Owen Hoffmann/PMC. Jean Shafiroff, Laurie M. Tisch, Anne E. Delaney, Thelma Golden, Lucia Hwong Gordon, Joan Hornig, Joyce Cowin, Cathy Isaacson, Jana M. Shea, Herbert Sturz, and Simi Ahuja were among New York’s notables from the worlds of business, nonprofits and philanthropy who attended the annual invitation-only event, a prelude to the Foundation’s October 2016 gala. 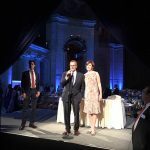 Ana Oliveira, President & CEO of The New York Women’s Foundation, spoke of The Foundation’s steadfast commitment to investing in the lives of New York’s women and girls. She thanked the moderator and panelists, Ms. Shafiroff, and her guests for their participation today and for their generous support in helping the organization become the largest women’s grantmaking fund in the United States. In the first half of 2016, The Foundation provided nearly $3 million in grants to 49 women-led, community-based organizations working to achieve long-lasting, positive change for New York City’s women and families. 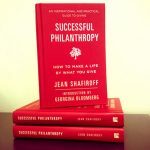 Ms. Shafiroff addressed the importance of teaching children to become philanthropists, beginning by encouraging them to be kind and to care about other people. 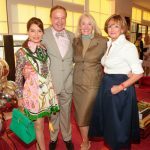 She invited the guests to attend the October gala and support the vital work of The Foundation. 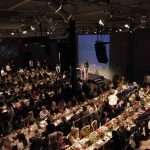 The Foundation’s fall gala on October 13th at The Plaza will honor Ms. Tisch, Saru Jayaraman of Restaurant Opportunities Centers United and Dina Habib Powell of Goldmans Sachs’ Impact Investing Business and Goldman Sachs Foundation. Award-winning actor David Duchovny will be the emcee.